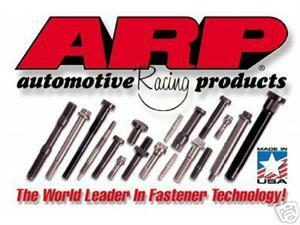 With performance enthusiasts adding increasing amounts of turbo boost to diesel applications, ARP has provided an extra measure of security in the form of extra-strong head studs manufactured from the firm's proprietary Custom Age 625+® material that has a minimum rating of 260,000 psi tensile strength. They are engineered to provide the clamping force required to keep cylinder heads from lifting due to exceptionally high combustion pressures. These are recommended for anyone running over 60lbs of boost or nitrous. All kits include 26 studs, 12pt nuts, assembly lube and instructions.